Their previous site was built with an in-house content management system making it and the content tied to a previous web designer. The client needed a new membership payment setup using Stripe.com. They needed the ability to easily manage, export, update and add new content – a feature that was lacking in their previous content management system. The client relied upon EventBright to manage their event bookings. We created detailed concepts to show the key issues to be rectified and this went through an extensive concept creation process. We made all aspects of the site content editable by the user – they now can add: events, products, news, directory listings, and faqs with ease. 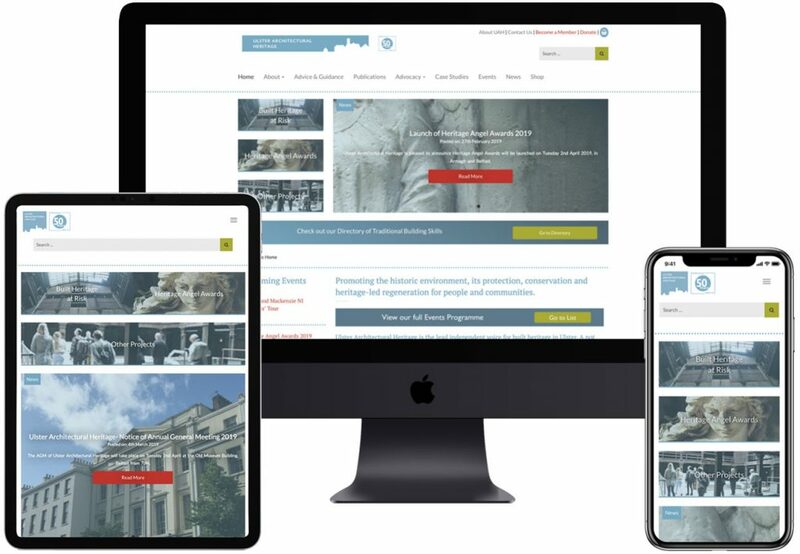 We created a micro site for the Heritage Angel Awards, fully controllable by the WordPress content management system and the UAH team can manage this fully in-house. The ability for a user to purchase books and tickets to events in one transaction. The site is now powered by an open-source content management system with full export options. The site is fully responsive and served over https.